In 1948 the Chichester Harbour Federation (of the Harbour Clubs of that time) formed a Cruiser Committee to look after the interests of cruiser members. This “Cruiser Section” organised racing for within Chichester Harbour, and into the Solent. 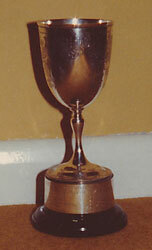 Some CCRC trophies today date back to that time; these include the Coronation Cups and the Cruiser Trophy. In the early 1960’s this Committee/Section was renamed the Chichester Cruiser Club, to which the word “Racing” was subsequently added in 1971. Close liaison with the other clubs continued and included races with or against those clubs. Today we might call the Chichester Cruiser Racing Club (CCRC) a virtual club – one that meets for racing and social events but has no club house as it continues to work with other clubs within Chichester Harbour as well as Clubs in the wider area.